The first-ever World Humanitarian Summit (WHS) was hosted by Turkey, on 23-24 May 2016 in Istanbul, upon the initiative of Secretary General of the United Nations (UN) Ban Ki-moon, amid the current challenges facing the global humanitarian system. The Istanbul Summit, in line with its inclusive structure, brought together for the first time in history all stakeholders of the world humanitarian community, including representatives of affected populations. The participation at the summit exceeded earlier estimations, by reaching a record level with 9.000 participants from all stakeholders . 173 Member States, including 55 Heads of State and Government, more than 60 Ministers, as well as some 40 Secretaries/Directors General from different international and regional organizations were present therein. According to the UN figures, it was the highest number of the United Nations members who have ever come together at this scale in one single time outside its headquarters in New York. The aim of this article is to provide insights on the whole WHS process, from its inception to the present and beyond, with particular emphasis on the role and position of Turkey, as a leading country in the humanitarian field, in this historic process. It is true that the global humanitarian system has made considerable progress throughout history, to the common benefit of peoples in need. The omnibus UN resolution on humanitarian assistance of 1991  had laid the foundation, through which the present system was set to function. Yet, given the scales of humanitarian crises today, it has become undeniable that the international community face tremendous challenges in the humanitarian field. In addition, the current humanitarian system can no longer adequately address today’s humanitarian crises. In fact, contemporary humanitarian crises worsen in number and complexity. Moreover, such crises are transcending borders as the recent tragic exodus of refugees and effects of pandemics like Ebola and Zika have bitterly reminded the international community once again. What is more distressing is the ever-growing dichotomy between increasing needs at unprecedented levels and limited available resources in financing which marks the underlying problematic facing the present humanitarian system. Today, 80 percent of humanitarian crises are caused by conflicts, with most being recurrent or protracted ones lasting years long. The number of people forcibly displaced worldwide is likely to have surpassed a record 60 million, half of which are children, mainly driven by protracted conflicts. Natural disasters also cause loss of lives of millions and leave severe economic damages as a consequence. Natural disasters have affected 218 million people on average and caused over an economic damage of some 300 billion USD per year for the last 20 years. In brief, as the UN Secretary General stressed once, there is a record number of people, 130 million, who need aid to survive. As a whole, the foregoing realities form altogether the pressing background that led to the World Humanitarian Summit process initiated by the UN Secretary General in 2013. Following this consultation process, the UN Secretary-General articulated his vision and recommendations for the future of the global humanitarian system in his report, entitled “One Humanity: Shared Responsibility” which was issued on February 9, 2016. In this report, he identified five core responsibilities : Securing global leadership to prevent conflicts, respecting international humanitarian norms, reaching the most vulnerable and furthest behind, changing people’s lives and ending the need, and investing in humanity. The annex to this report, Agenda for Humanity, included concrete areas of action and provided the framework under which all stake holders including Member States could announce their commitments at the Summit. When the above-mentioned process was initiated by UN Secretary General Ban Ki-moon in 2013, he declared Istanbul as the host of the first-ever World Humanitarian Summit, during the 68th session of the General Assembly of the United Nations on 26 September 2013. In his statement, the Secretary General drew attention to Turkey’s position as one of the world’s leading humanitarian donors, as well as to Turkey’s own experience in directly responding to humanitarian emergencies. The designation of Turkey by the UN Secretary General, as the host of the World Humanitarian Summit in the face of two other candidate cities, New York and Geneva, can be seen as the sign of international community’s acknowledgement for the role and position of Turkey in the humanitarian system. It also indicates the evolving realities in the humanitarian field, to seek new balances between not only the traditional donors and emerging actors, but also the donors and affected ones. In fact, Turkey has a strong tradition of responding to those in need. Situated in a disaster-prone geography, Turkey’s land has historically been moulded with humanitarian efforts. As early as in the late 15th century, the Turkish rulers provided sanctuary to several hundreds of thousands of exiled populations fleeing persecution in their homelands. Since then Turks have embraced countless peoples in dire needs, regardless of their religious, ethnic or linguistic backgrounds, throughout history. Based on such heritage, modern Turkey has continued to provide humanitarian assistance to such peoples in need, by either hosting them in its territory or helping them in their own or third countries, to the extent of its resources and capacities. Built on its own experiences, in recent times, this humanitarianism has been vividly reflected in Turkey’s humanitarian diplomacy. This diplomacy has a broader meaning than mere humanitarian assistance which is yet an important tool of it. Humanitarian diplomacy as Turkey applies is a human-centered and conscience-driven policy having particular attention, in its efforts, on human dignity and development, in countries where humanitarian crises of all sorts occur. While extending its humanitarian assistance globally, Turkey also hosts millions of affected people who fled in despair from their homelands, notably Syria and Iraq. This is a unique but rather bitter experience, through which Turkey can be better positioned to see the current issues prevailing in both sides of the system, as a donor and a refugee hosting country. Turkey’s humanitarian response is directed today to all types of crises ranging from conflict situations to natural disasters and pandemics, such as Ebola. It is conducted through different formats via either emergency relief operations or more comprehensive ones, while always observing all related law, such as international humanitarian and refuge norms and regulations. The system has institutionally three major pillars operating under the general coordination of the Turkish Foreign Ministry, namely, the Disaster and Emergency Management Authority (AFAD), the Turkish Red Crescent and the Turkish Cooperation and Coordination Agency (TİKA), the latter focusing on social and economic development through technical cooperation projects, whereas the former two focus more on humanitarian relief. They all operate also in close coordination with civil society organizations as appropriate. Naturally, specialized Ministries, such as the Ministry of Health, Ministry of Environment and Urbanization, as well as the Ministry of Forestry and Water Affairs, substantially contribute to the programmes in their areas of expertise. All these institutions play roles in distribution of humanitarian aids in kind, fulfilment of development aids and evacuation of injured people. Moreover, Turkey has relatively a flexible humanitarian assistance system as regards to regulations, budget and decision-making process. These characteristics facilitate making humanitarian assistance promptly. As manifested in today’s cases around the globe, humanitarian crises appear in fact to be symptoms of bigger maladies. It is thus of great importance to address the root causes in order to treat the malady, rather than relieving only the symptoms. This is the main approach that drives Turkey’s policies vis-à-vis humanitarian crises of the present era. It is an undeniable fact that humanitarian crises can be alleviated by humanitarian aids but never eliminated without a sustainable and holistic approach. This requires a series of different tools to be deployed in tackling humanitarian crises through a more comprehensive and encompassing approach which complements crisis response policies with preventive ones. Humanitarian crises caused or triggered by conflicts lead to serious impacts not only in the country of origin, but also in its neighbors. Turkey in its humanitarian policy has certainly had experience in both cases. The major case in respect of the latter is hosting millions of Syrians fleeing the conflict in Syria. This is the biggest humanitarian crisis of a protracted nature in the present era which severely affects also the neighboring countries both financially and security-wise. In line with its humanitarian responsibilities and its humanitarian diplomacy, Turkey has developed a multi-fold strategy, from the very beginning of the humanitarian crisis, to help the Syrians fleeing in exodus from their country. Turkey has maintained an open border policy since the outset of the Syria crisis which is regarded as the worst human tragedy since the Second World War. More than 50 percent of the displaced Syrians found shelter in Turkey. “Turkey has become the biggest refugee-hosting nation in the world”, to quote the UN High Commissioner for Refugees when launching the annual Global Trends Report on 18 June 2015. As it is widely recognized, this policy has been conducted in the absence of a meaningful international support. While Turkey has spent more than 10 billion USD, the financial support coming from the international partners remains rather symbolic to this date, corresponding to only 5 percent of this amount. In this process, Turkey has tried to provide best possible living conditions for the Syrians and mobilized all institutions of the state, first and foremost, the Disaster and Emergency Management Authority (AFAD) and the Turkish Red Crescent. Affected persons fleeing the conflict in Syria have been able to recreate in a user-oriented atmosphere, to the maximum extent possible, the previous lives and livelihoods they had to leave behind. In this regard, the innovative use of cash based assistance model in Turkey, the “e-voucher” programme, needs to be mentioned. This has been implemented in temporary protections centers (TPCs) housing Syrians since October 2012. The e-voucher program, as a human-oriented method, has not only enabled Syrian beneficiaries to do their shopping with these magnetic cards profiting the right to choose and to prepare their meals based on their traditional taste and preferences, but has also helped increase interaction and socialization through the provision of a marketplace. By eliminating the need for public aid institutions to provide three daily meals, the e-voucher program also proves cost-effective. As to the humanitarian assistance policies directed to countries of origin stricken by humanitarian crises in conflict, Turkey’s policy to assist Somalia can be regarded as a exemplary case. Somalia is in fact the most striking example of countries affected by protracted crises which are triggered by both conflicts and natural disasters. The country was hit by a severe famine in 2011. Following the visit of the then Prime Minister of Turkey, all segments of the Turkish society from public institutions to NGOs and private sector were mobilized to assist the people of Somalia. This process has gradually resulted into a comprehensive policy, comprising humanitarian, development as well as stabilization efforts in an integrated strategy. In a relatively short span of time, several projects were put into action which consisted of human and institutional capacity building, construction of essential infrastructure, providing services such as education, sanitation and health etc. while humanitarian aids such as delivering food and medicine continued. In this multi-stakeholder process, in addition to TİKA, AFAD and the Turkish Red Crescent, the Turkish business sector, civil society as well as municipalities have also been heavily engaged with fund raising and undertaking humanitarian and development assistance projects. While the projects on humanitarian aid and development assistance are carried out in a concerted way, political efforts of Turkey contributing to stabilization efforts have also been put into action through bilateral and multilateral channels. Naturally, all these have become possible with a holistic and integrated approach under a strong political leadership. As can be seen from the foregoing, the development-oriented humanitarian assistance constitutes the core of Turkey’s policies in its humanitarian response. Given the complexity of the present crises, the humanitarian-development nexus needs to be strengthened to increase the resilience and capacity of recipient actors to respond to humanitarian crises themselves. This is crucially important to address the humanitarian crises of recurrent and protracted nature. Both have one underlying fact in common: severe negative impacts of a destructive nature on the country in question, including refugee plights. In such cases, humanitarian crises are triggered as the negative impact of insufficient development, environmental issues, conflicts, poverty and lack of infrastructure. For example, in many cases in sub-Saharan Africa, there exists a vicious circle entangling the countries. Food crises mostly resulting in famine repeat themselves in circles, due to either drought or flooding which are aggravated by climatic degradation such as deforestation or desertification. Limited agricultural capacities are ruined by either droughts or floods every season due to the limited basic infrastructure (water storage or drainage systems etc.) or lack of human or institutional capacity to tackle such disasters. This vicious circle is hard to break. Why? Because there is a huge problem on the development side. Such vicious circles might risk even causing or triggering conflicts leading to refugee crises as well. In such cases, humanitarian crises cannot be remedied fully without developmental tools. This makes also the SDGs ( Sustainable Development Goals of the UN) crucial both to tackle humanitarian emergencies and to enhance peace and security. In fact, to ensure peace and security lasting and enduring, the humanitarian action needs to be supplemented with sustainable development along with democratic structures. In order to break such vicious circles it is needed to intervene with various tools. At the first stage, Turkey intervenes with humanitarian aids for emergency humanitarian relief and continues with development projects to support resilience, in tandem or simultaneously as appropriate. This is the main philosophy behind the Turkish policy in such cases, which is marked with the combined use of humanitarian and development financing along with various tools in a concerted way. This is not an easy task but the result is rewarding for all. The combined use of humanitarian and development tools turns to be cost effective for donors in the longer run as affected countries become more resilient increasing their level of development, thanks to development aids on basic infrastructure, human and institutional capacity-building. This development assistance enables affected countries to resist to such humanitarian shocks, which in turn would reduce their need of humanitarian aids in future. Thus, it is a win-win approach. This model is also applied to conflict-driven protracted crises. In these cases Turkey’s humanitarian and developmental efforts are complemented with political and stabilization efforts. This approach is also applicable to neighboring countries hosting refugees in a protracted case because of the severe impacts on such countries. Today, such an approach is increasingly recognized as an effective way to overcome humanitarian-development divide. In the related literature, there is a classic analogy to describe development-oriented humanitarian policies: Give the needy fishes to eat, but teach them also how to fish. Yet, Turkey’s policy in this regard goes far beyond this as it aims to assist the country in need to manufacture fishing tools and help for the creation of its fishing industry. This naturally requires a holistic approach. These policies are always carried out in cooperation with the authorities of the host country in need, taking into account its demands. In this process, TIKA, Turkey’s hand abroad along with all agencies and institutions such as AFAD and Turkish Red Crescent, as well as NGOs, act together in coordination with respective Ministries towards this end. Naturally, there are certain conditions for the success of such combined use of different instruments and financing. Making different bureaucracies work together is not an easy task. For the success, the main key words are : case-specific but holistic approach, joint and integrated strategy and planning based on shared analyses, context-based and tailor-made programmes, concerted actions through better coordination avoiding duplication, overlapping and flexible budgeting. All these need an enhanced culture of collective labor which definitely requires a mentality change. There comes the important role of strong political backing and leadership. Another area in responding to humanitarian crises where Turkey has developed its own policies is related to emergency responses to disasters, be they natural or man-made. 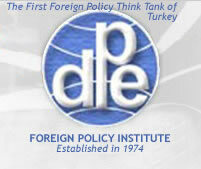 Turkey is in fact a disaster-prone country subject to the destructive impact of such disasters. During the last century, around 50 big earthquakes, numerous floods and landslides, forest fires, mining accidents and more hit Turkey. Not only common sufferings but also common experiences along with them are embedded in the memory of Turkey. Thus, Turkey has enhanced its capacity for disaster response with its NGOs and public institutions, notably AFAD, Turkish Red Crescent and TIKA, and has taken an active role in humanitarian field. Just like in its other activities, Turkey considers humanitarian assistance in response to disasters as a moral obligation and an international responsibility, too. With this understanding, Turkey extends a helping hand to all disaster regions in its neighborhood and beyond, which essentially contributes to the stability of international community as well. Need for effective and genuine burden-sharing in financial terms to neighboring countries that host displaced populations. Need for close consultation and cooperation with local authorities and affected populations in needs assessment and delivery of in kind and cash assistance. As stated earlier, the WHS process reached its culmination in Istanbul on 23-24 May 2016 with the summit. In accordance with its format the Istanbul Summit evolved into a high level global platform where all interested stakeholders of the world humanitarian community announced their commitments to the future of the humanitarian system, while sharing their experiences and views, in view of the UN Secretary General’s report and its Agenda for Humanity which was released in February 2016. In this context, likeminded countries and stakeholders also made joint commitment, statements, or launched initiatives as well. During the countdown process started a year ago by the UN Secretary General, around 2-3 thousand people were envisaged to attend the Summit. Later, the expectations were updated to 5-6 thousand people in view of increased engagement of the stakeholders in the preparations in the lead up to the Summit. However, as mentioned in the introduction, the summit ultimately ended up in 9.000 participants who were physically present. As regards the donors world, Chancellor of Germany was the only Prime Minister who participated in the summit from the G7 countries at that level and Japan was represented by the former prime minister as the special envoy of the Japanese PM. Other G7 countries participated at ministerial level or below. Nevertheless, donor countries other than G7 countries participated at the level of Minister and above. Likewise, all the EU countries attended the Summit at high levels ranging from the heads of state or government to the ministers. It was also welcoming that the members of the G77 and LDC’s, who represent in general the recipient side in the humanitarian system, were mostly present at ministerial level or above. It would not be wrong to argue that hosting of the Summit, which was not assumed by a traditional donor country but by Turkey as a leading donor and an affected country which conducts an active humanitarian diplomacy, had an impact on this active engagement. The record level of participation from the UN member states was attained despite the reluctance shown by these member states in general towards the non-intergovernmental structure of the WHS process. This can be attributed to the growing interest of the world humanitarian community in the alarming challenges transcending borders such as refugee flows. It is with no doubt that the selection of Turkey as the host country as well as the active role Turkey has assumed in the humanitarian domain in recent years has also contributed to the increasing level of engagement of the stakeholders to be present in Istanbul. During the Summit, Turkey’s views and positions, which are summarized above, were extensively voiced by the President of Turkey, H.E. Recep Tayyip Erdoğan and several members of the Governments, including the Minister of Foreign Affairs, H.E. Mevlüt Çavuşoğlu, as well as by other high level national bodies such as AFAD at several meetings . President Erdoğan inter alia co-chaired with the UN Secretary General Ban Ki-moon, the Leaders’ Segment where all heads of state and government attended sharing their ideas about the future of the system in support for the Agenda for Humanity. Turkey also announced its support to the commitments in the five responsibility areas of the “Agenda for Humanity” document and made numerous national commitments. The commitments Turkey made during the Summit mark in fact both Turkey’s achievements in the humanitarian domain and its commitment to improve the collective response to humanity in line with the spirit of shared responsibility and common ownership. The Turkish public stakeholders and NGOs also marked the priorities of Turkish humanitarian policy through 21 side events and several exhibitions they held during the Summit. As the UN Secretary General mentioned in his Chair’s Summary, the way forward in the aftermath of the Istanbul Summit is of crucial importance for the future of the humanitarian system. According to the agreed timeline, all the commitments which were made at the summit will be complied in a document entitled “Commitments to Action”. Announcements of commitments were gathered online through an online Commitments Platform at the summit. The platform allowed Member States and other stakeholders to register commitments to action or to join existing initiatives. Based on these commitments and views announced at the Summit, the UN Secretary General will report to the UN General Assembly in September 2016 which will likely be setting possible directions and orientations for the post-summit process. As the UN Secretary General comes to the end of his tenure in the end of 2016, whatever the post-summit process would be, will be the responsibility of his successor. The two basic questions will be pending in the period ahead: what would be the eventual channels for furthering the process for the betterment of the humanitarian system and how would all these commitments materialize to translate them into concrete actions in the post-summit process? The WHS has served as a unique and historic platform to address the alarming challenges of the humanitarian system and express commitments for sustainable solutions in order to improve the lives of millions of crisis-affected people. The initiative to organize the first-ever World Humanitarian Summit, and also the growing interest of the global community in the preparations of the Summit were testimony to the urgent need acknowledged to address the alarming challenges in the humanitarian system. The global humanitarian community should assume the responsibility to follow up the Summit outcomes and take the commitments forward through various channels, including intergovernmental and inter-agency platforms together with all the stakeholders. It is hoped that the Istanbul Summit has set the seeds for a transformative change in the system encompassing a mentality, if not a paradigm, shift as well. The Istanbul Summit was not a destination, but departure point of a historic journey for the future of the humanitarian system. With this understanding, President Erdoğan called indeed on all the stakeholders at the opening session of the Istanbul Summit, stating “we should never forget our responsibilities vis-à-vis the people who locked their eyes and hearts to the messages and commitments that will arise from Istanbul”. From its inception Turkey has vocally advocated that the summit should not be a one-time event but entail a process with a clearly defined follow-up. Now, it is of crucial importance to build on the global momentum which the Istanbul Summit has generated and to work in close and genuine partnership with all stakeholders to improve our collective response to humanity in line with our shared responsibility. This should be the common responsibility of each and every member of the world humanitarian community, at least to alleviate the suffering of those in need, if not to end it, so that the future of our common humanity could be secured in a sustained manner. [*] Ambassador Dr. Hasan Ulusoy is currently serving as Director General for Multilateral Political Affairs at the Turkish MFA. The Directorate General which he is in charge was responsible for the preparations of the WHS. Ambassador Ulusoy is a PhD holder in international relations with several articles and one book published in his areas of expertise. UN General Assembly Resolution 46/182/19 December 1991 on Strengthening of the coordination of Humanitarian emergency assistance of the United Nations. Secretary-General’s opening remarks at World Humanitarian Summit, http://www.un.org/sg/statements/index.asp?nid=9723. For detailed information, see www.worldhumanitariansummit.org. The G7 Summit was held in Japan on May 26-27, just after the Istanbul Summit, which seems to have affected the participation level from these countries. This was criticized at the Istanbul Summit. To show their support to WHS, the G7 leaders expressed their welcome for the organization of the WHS summit in their final communique of the G7 Summit, see G7 Ise-Shima Leaders’ Declaration at http://www.mofa.go.jp/files/000160266.pdf.